SEE BELOW FOR PRICING, CLASS DESCRIPTIONS, AND REGISTRATION. All students must now create an account to register for GCPA programming. There may be one account per family representing multiple students, which will allow families to take advantage of multiple-class pricing discounts (see pricing schedule below)! Accounts must be created before registration may be completed. Email artistic@gcpastl.org with account questions and support. All one-hour summer classes cost $140 per student. One hour class prices are based on a 7-week session, June 5th - July 24th, with NO CLASS JULY 3RD. The 1.5 hour Choreography Styles Medley class costs $150 per student upon registration. Walk-ins to this class only are welcome at $20 per class. All two-hour summer classes cost $200 per student. Two hour class prices are based on a 4-week session, June 3rd - June 24th. Stack your classes and save! The more classes you take, the lower the cost. Stacks apply to all summer classes. 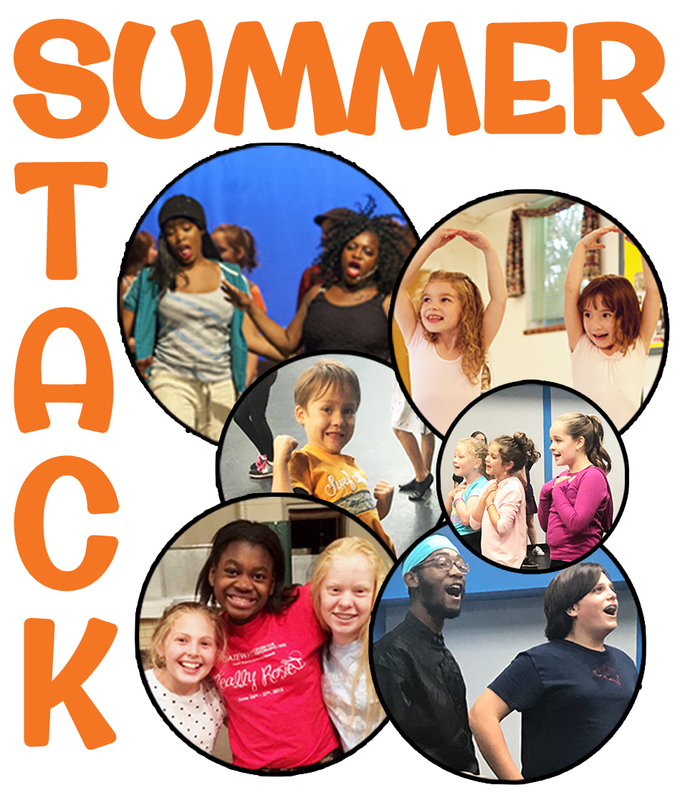 Stacks are per student or per family, so bring the whole family for GCPA classes this summer! *Registration note: Our system does not immediately process these discounts. Upon registration you will be prompted for payment information and checkout code, but your total will not reflect the discount until GCPA staff has approved eligibility for the discount. You will not be charged until this approval happens, at which time the discount will be applied and your account charged at the lower rate. Be sure to complete registration so we can fully process you, and of course let us know if you have any questions! *All classes are OPEN LEVEL. In this 4-week class, students will write and perform their own musical! Using their own story ideas and popular songs from Broadway musicals, students will learn how to develop a story from page to stage! In this class, students will develop the three disciplines of Musical Theatre through exciting material chosen to expose them to both classical and contemporary styles. Vocally, they will work on technique through proper breathing and sound production. They will also learn fundamental musical theatre dance steps with an emphasis on execution and formations. Scene work will delve into character development and physicalization. Learn the fundamentals of good vocal technique including best practices for breathing, diction, and posture. Develop your music reading abilities as well as improve your ear training. Students will apply the technique they learn to songs in the musical theatre repertoire, also practicing good choral techniques including blending and harmony. Tap technique focusing on musical theatre tap vocabulary, steps and presentation. Through warm ups, students will learn to articulate the feet in basic rhythms and patterns. Progression and combinations will teach basic tap steps that are common in the musical theatre tap vocabulary with a strong focus on body position and posture. This intermediate level course will feature a new combination each week from varying styles of dance. This course is perfect for intermediate+ level dancers in high school and college looking to stay in shape and explore different styles of choreography.